Every single day we get at least one call from a customer asking if we provide a driver for the rental boats. The answer is sadly no. We would love to come have a great day on the water with you though. Due to the number of calls we get on this though, we thought it would be a good idea to elaborate on why we don’t offer this service. First and foremost, you have to have a Captains License to operate ANY boat for compensation. Doesn’t matter the circumstances. There has been other boats around Lake Wylie who tried to offer a driver without that person having a Captains License and they got nailed. The Coast Guard and local police do patrol the lake and look out for infractions like this! Secondly, and more unknown, is insurance issues. Surprisingly if we were to provide a driver our insurance would go up. It would almost double! As you can imagine, insurance for a rental fleet of boats is EXTREMELY expensive. So, doubling that is not something most operations would consider. 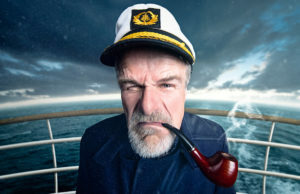 Lastly, even if we had a staff member with a Captains License and we paid the outrageous insurance premiums to be able to offer that service, the cost to pay a licensed Captain for a full day boat rental would make it more expensive than most customers would be willing to pay for a day on the water. The good news is, renting a boat with us is easy. The rental process is easy online, the training at our dock is comprehensive and easy to understand. All we ask is that you pay close attention to our staff when they are going over everything and you’ll be fine! To be safe on the water, just go slow. It really is that easy. Copyright © 2019 Lake Wylie Boat Rental, LLC. All rights reserved.